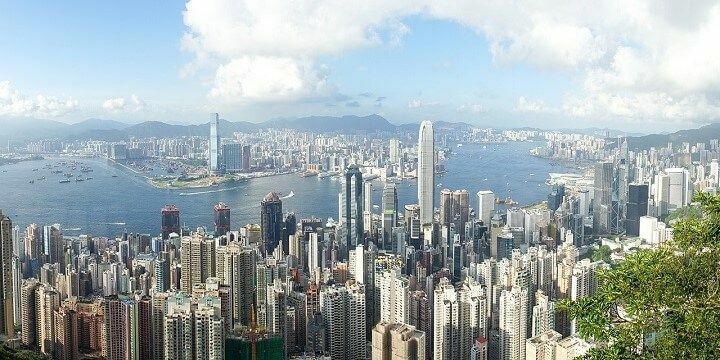 Although technically a special administrative region of China, Hong Kong has a very high degree of autonomy. With a bustling city center, a scenic coastline, and peaceful neighboring islands, Hong Kong is the perfect vacation destination, regardless of whether you’re looking for a city break, or a sandy getaway. For the best views of Hong Kong, head up Victoria Peak, the highest mountain on the island. If you can’t handle the hike, hop on the Peak Tram, which carries 12,000 people a day to the 552-meter-high peak. Once at the top, head to Sky Terrace 428, the highest 360-degree viewing platform in Hong Kong. Victoria Peak is the highest mountain in Hong Kong. An alternative option is to walk along the Dragon’s Back, one of Hong Kong’s most-popular hiking paths, which offers spectacular views from its 284-meter-high Shek O Peak. Hong Kong is the perfect spot for some retail therapy. Its multiple markets have something for everyone; from clothing and accessories at Ladies’ Market, to antiques and souvenirs at Cat Street. Alternatively, check out some high-end malls, such as the impressive, twelve-storey-high Time’s Square. Re-energize after shopping in one of Hong Kong’s Michelin-starred restaurants (it’s actually home to the cheapest Michelin-starred restaurant in the world), a fancy cocktail bar, or at a “hole in the wall” street food vendor. These smaller restaurants can be hard to find, but it’s worth the hunt, if you’re looking for affordable and authentic food. Whichever establishment you choose, be sure to try some dim sum (dumplings and other dishes, served in steamers, or on small plates). 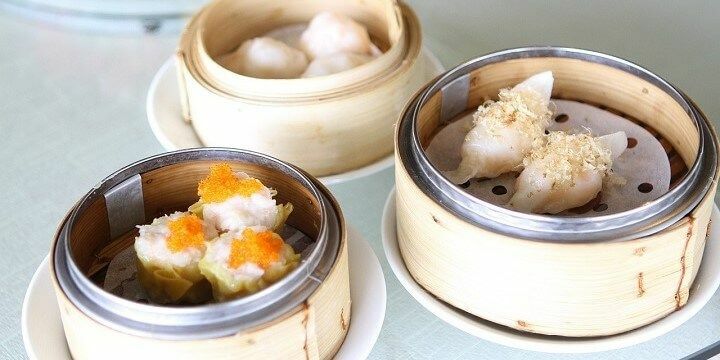 Dim Sum is a traditional dish in Hong Kong. A vacation to Hong Kong would be incomplete without checking out its nearby islands. 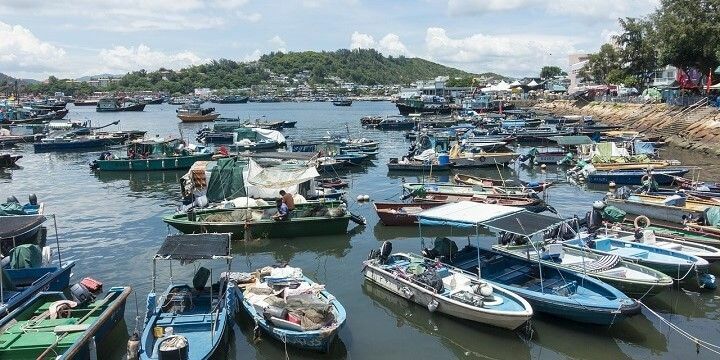 The vehicle-free island of Cheung Chau is just a 35-minute ferry ride from central Hong Kong, and is known for its beautiful temples, fresh seafood, and its Mini Great Wall, a relatively easy hiking route. Cheung Chau Island is vehicle-free. Another popular option is Lantau, Hong Kong’s largest outlying island, and home to its airport. You can reach the island via Ngong Ping 360, a cable car system that will take you up to the center of the island. Lantau’s best-known attraction is its 34-meter-high Big Buddha; however, the fishing island of Tai O is another must-see while on the island. Hong Kong Park is a great hideaway from the busy city center. Despite its small size, the park is home to around 80 species of bird, fountains, ponds, and even its own restaurant. Alternatively, head to the Diamond Hill district to find Nan Lian Gardens. 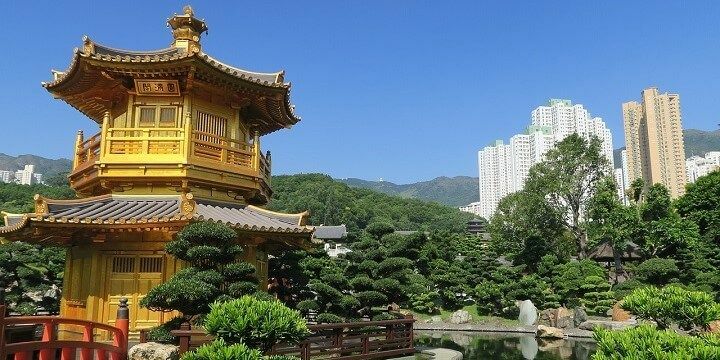 This 35,000-square-meter park is an oasis among Hong Kong’s towering skyscrapers, offering traditional Chinese landscaping, tranquil ponds, plenty of beautiful plants, and its own restaurant and tea house. The Nan Lian Gardens are located in the Diamond Hill district. 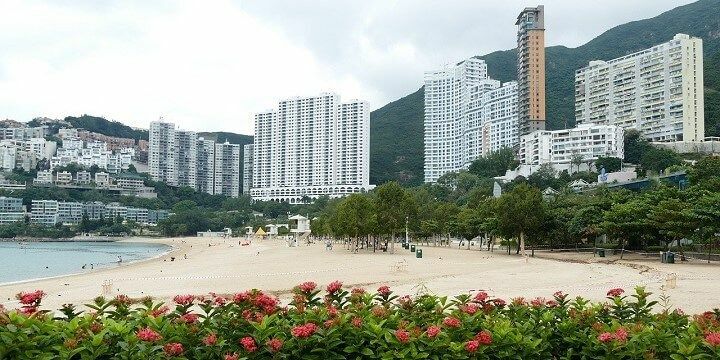 Be sure to explore some of Hong Kong’s beaches for some peace and quiet away from the hustle and bustle of the center: Repulse Bay in the Southern District is said to be Hong Kong’s most beautiful beach. Repulse Bay is said to be Hong Kong's most beautiful beach. Shek O is another popular beach, located just 30 minutes from central Hong Kong. While its popularity means that its well-maintained, with sunbeds, busy beach bars, and great diving facilities, its sheer number of visitors has also led to high levels of pollution. For a cleaner and quieter escape, head to Tai Long Wan (Big Wave Bay), located on the eastern side of the Sai Kung Peninsula. The bay’s four peaceful beaches lack the bustling bars and seafront restaurants of Shek O, but their secluded nature will allow you to swim, surf, or stroll at your own pace. If NextStop24 helped you to choose your next travel destination, we'd be very grateful if you’d search for your accommodation and things to do in Hong Kong through these links. They're affiliate links, which means that we will receive a small commission for every booking made through them. There are no extra costs for you; you'll simply be helping to keep NextStop24 running. Thanks! Hong Kong, Disneyland and Discover Bay. We had such a great time, it was one of the best expieremce. There is a lot to do in Hong Kong, especially when it comes to activities. The city is always exciting to visit because it literally doesn't sleep and there is something happening. Would totally recommend visiting. If you think NYC or London is busy, just wait till you visit Hong Kong! There are always events happening, with shops, bars and restaurants open 24/7. Being compact and dense, Hong Kong is perfect for short city vacations. The numerous country parks and beautiful landscape also means it's a surprisingly great hiking destination, you can reach a 50km trail 10min away from the city centre. The local food scene is incredible so there is truly a bit of everything for everyone.